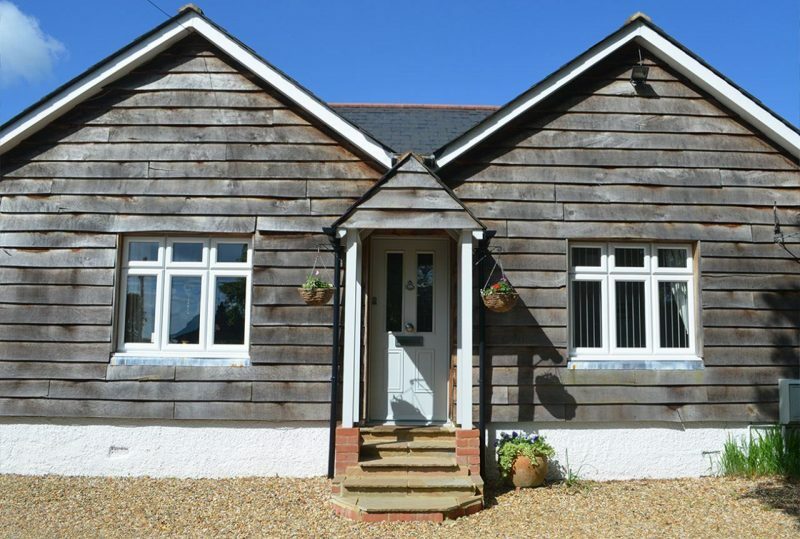 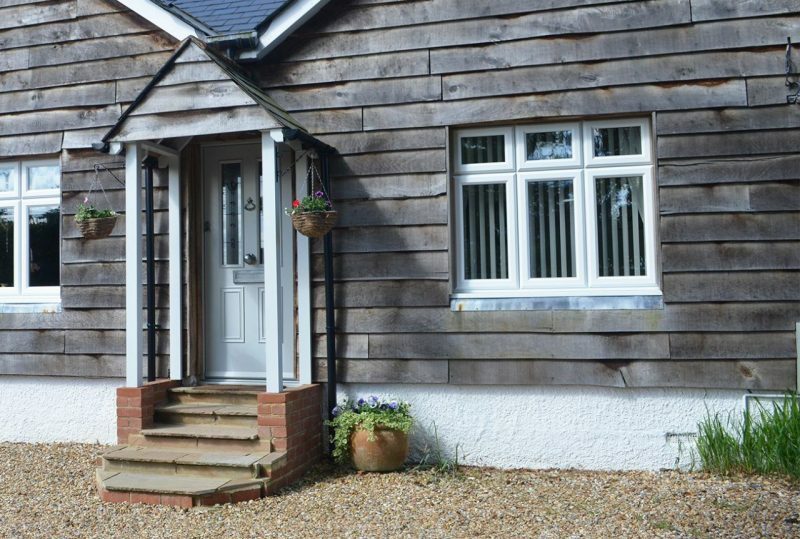 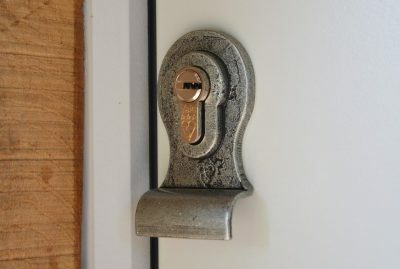 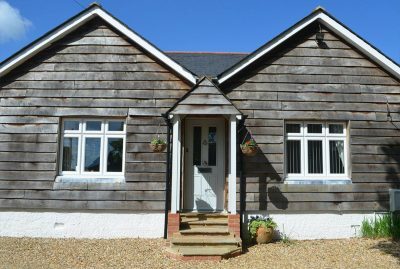 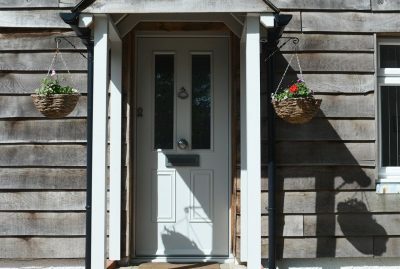 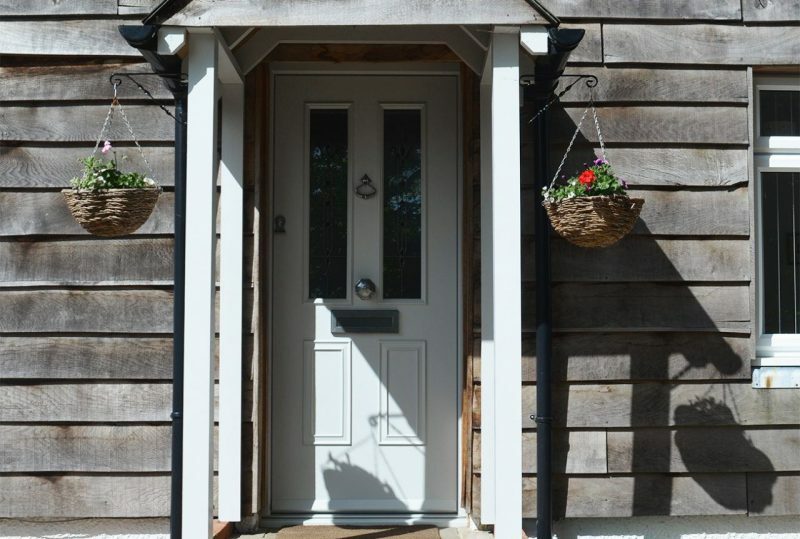 The owners of this beautiful 1930’s home in Cranleigh, Surrey loved the character of the original front door, but they knew that their door’s days were numbered – it needed to be replaced. 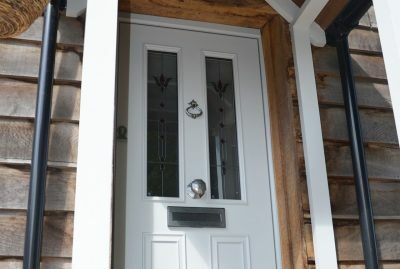 They decided to work with us due to the fact that we’re a local wooden door supplier, but also because they’ve used us previously for other glazing projects. 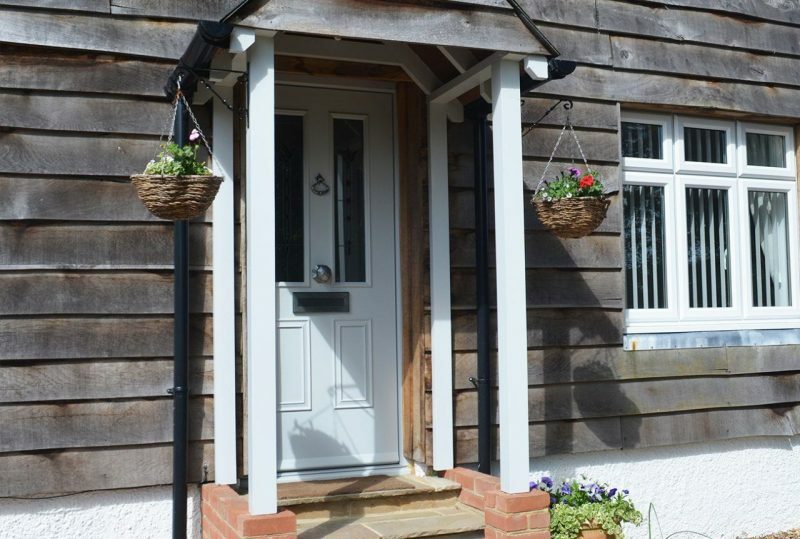 Our clients wished for a wooden door over their current uPVC one. 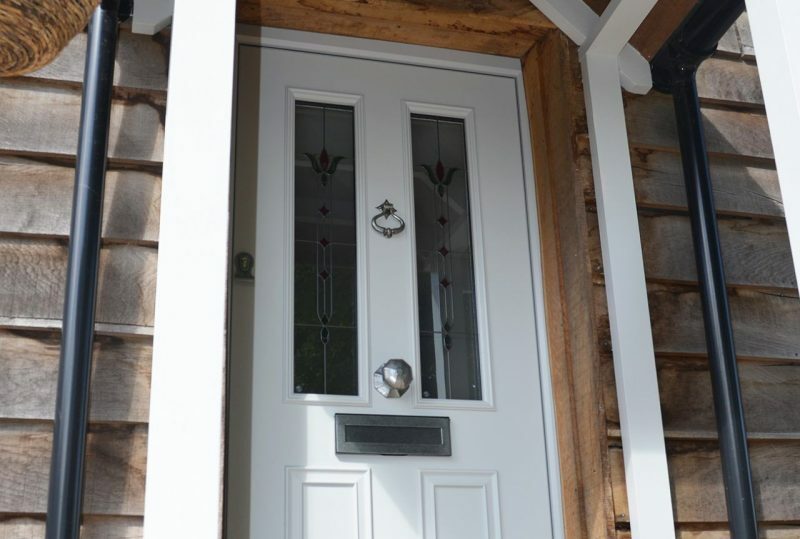 When it came down to deciding on the door for them, they had a great selection of wooden doors to choose from. 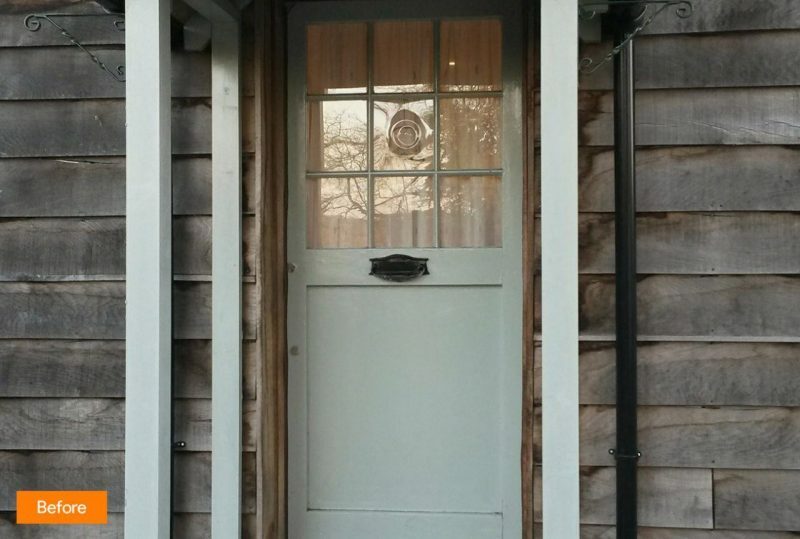 After much consideration, they decided on the wonderful Masterdor Ashdown in Dove White, with Fleur Stippolyte glass and Pewter door furniture. They liked the composition, appearance and solid quality of the Masterdor and felt that the style really maintained the authentic look of their home. 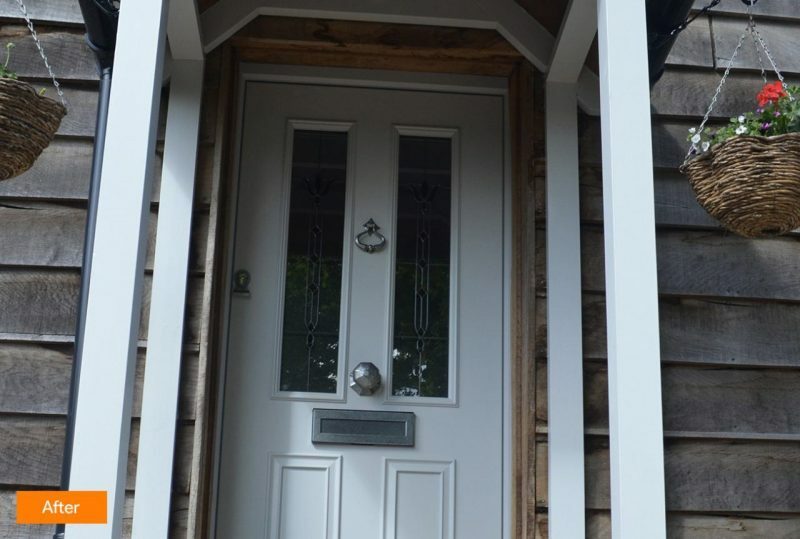 The traditional panels and mouldings in the Craftsman Traditional range have an elegant, timeless quality which provides this home with a look of style and sophistication. 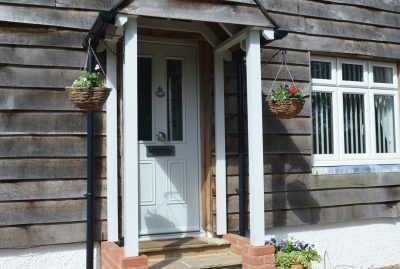 From start to finish, our clients were very happy with the installation of their new door .